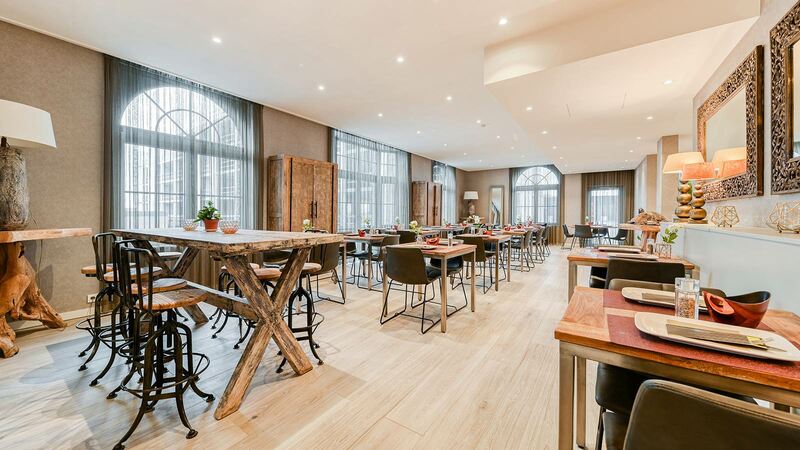 This week we are off to the city of Strasbourg, France to discover hotel Rohan, a building which has been completely renovated, using materials by PORCELANOSA Group. 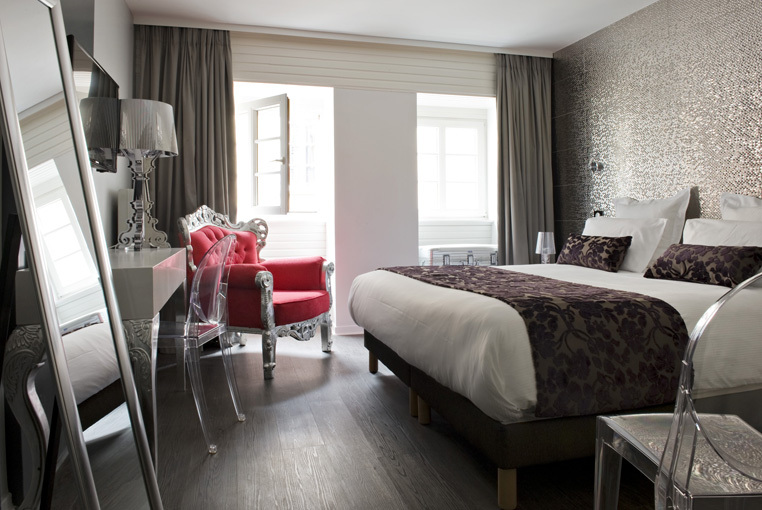 Each and every one of the hotel rooms, designed by the French architect, Isabelle Burgalio, has a really defined style, making it a clear example of the combination between modernity and classicism. 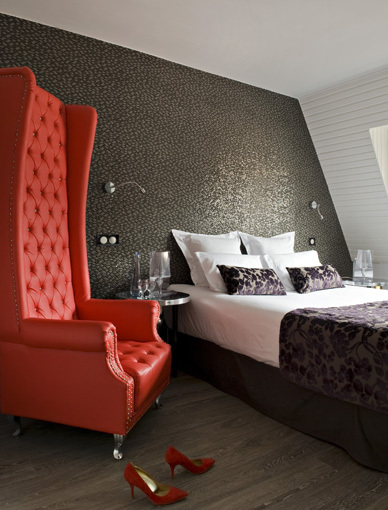 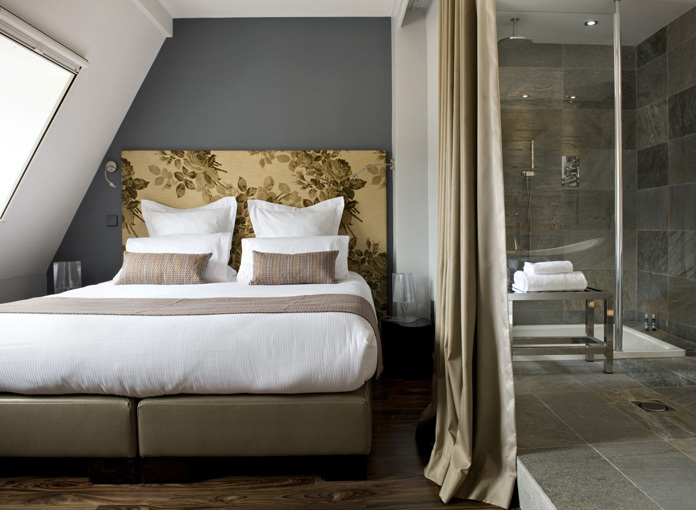 The four-star hotel with 37 rooms, in the centre of the city, next to the Cathedral combines very sober colours like blacks and greys in each and every one of the spaces, giving an aristocratic feeling to the spaces in which the avant-garde design is not at odds with comfort. 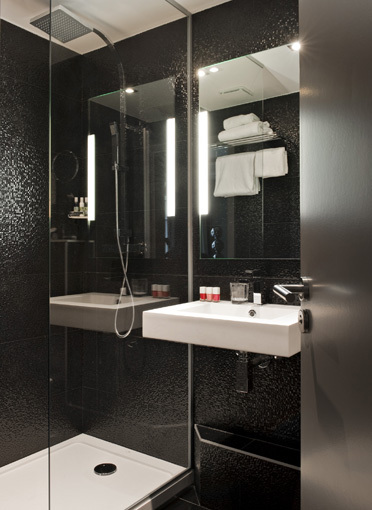 The bathroom in one of the suites in the hotel is equipped with the Koan bathtub by Systempool, combined with the Blank series wash basin and the Irta mixer taps by Noken. 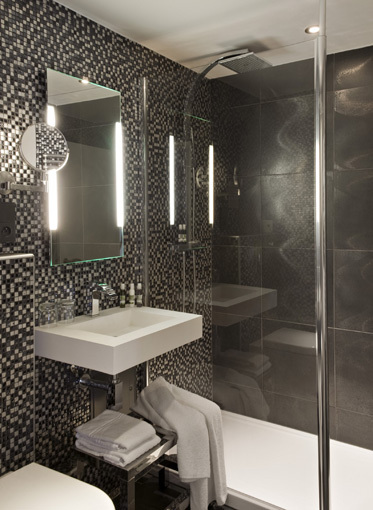 The Air Black Silver mosaic by L’Antic Colonial was used as a covering in the other suites and is equipped with sanitaryware by the Arquitect collection by Noken and the Kole wash basin by Systempool. 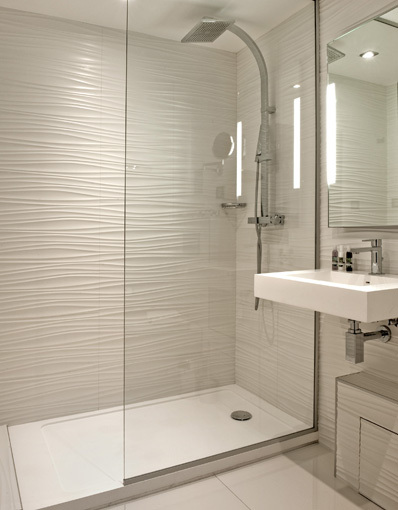 The Bend column by Systempool was used for the shower column. 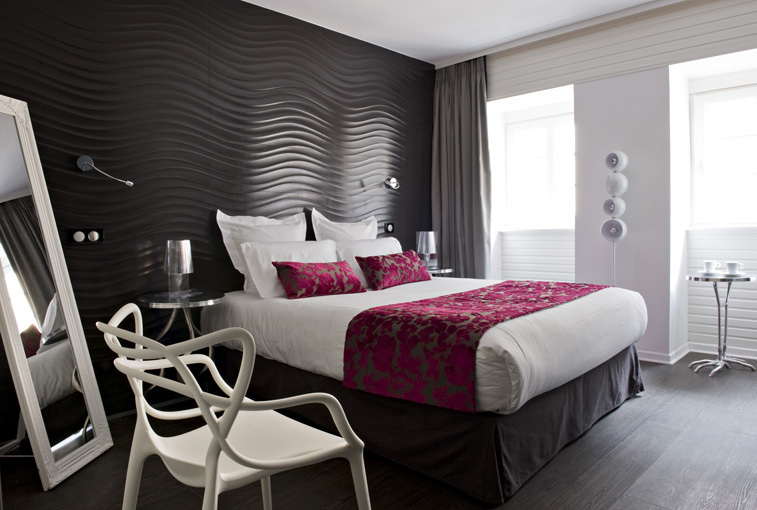 The main bedrooms sought a more exclusive effect, using Madison Plata, Marmi Deco Blanco, Qatar Antracita and Madison Antracita ceramic coverings by Porcelanosa as headrests. 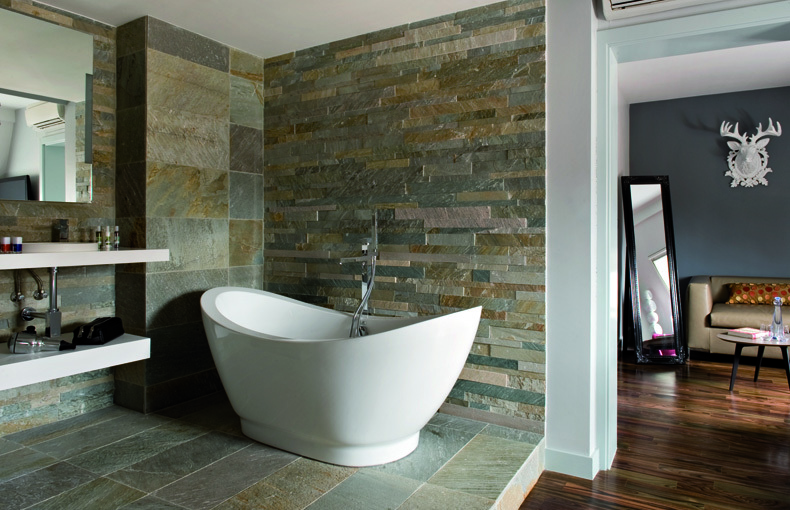 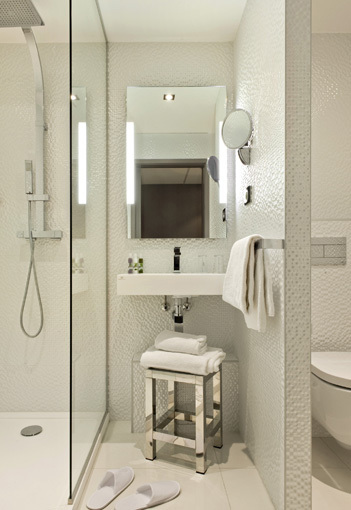 Materials by PORCELANOSA Group were also used in the communal bathrooms in the hotel. 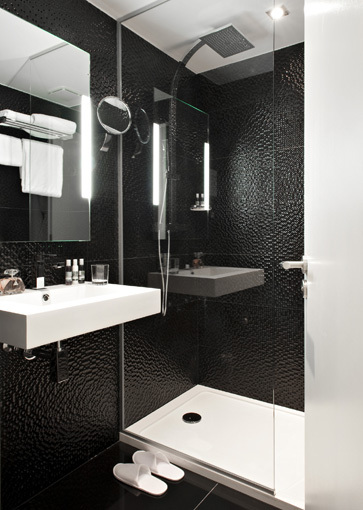 They were covered in Neo Black Texture, Thais Black, Zoom Town Black Nature and Town Black de Urbatek porcelain models and combined with sanitaryware, tap ware and wash basins by Noken and Systempool. 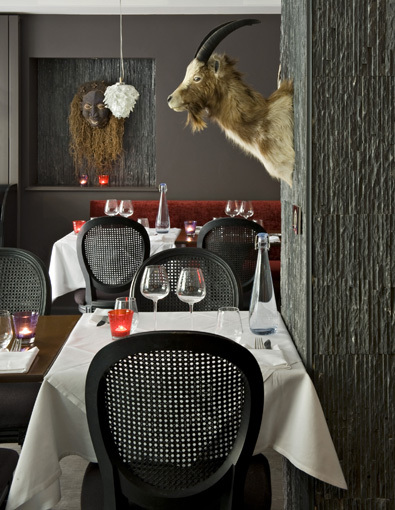 Finally, the restaurant was covered with the Brick Buthan natural Stone covering, making it the total main character of the space. 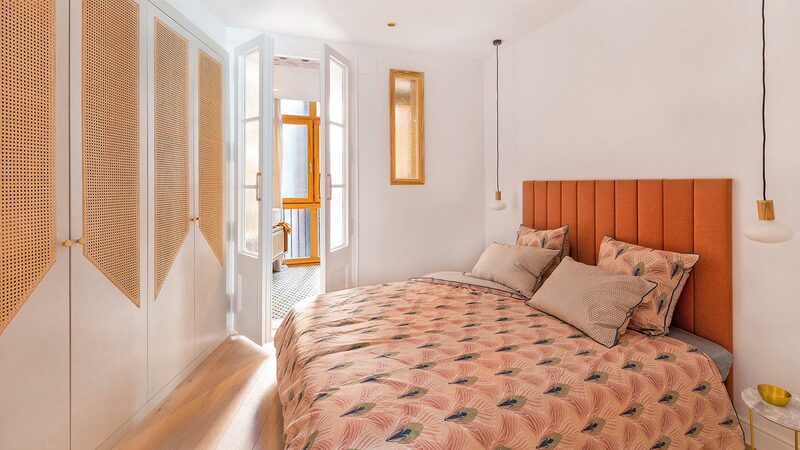 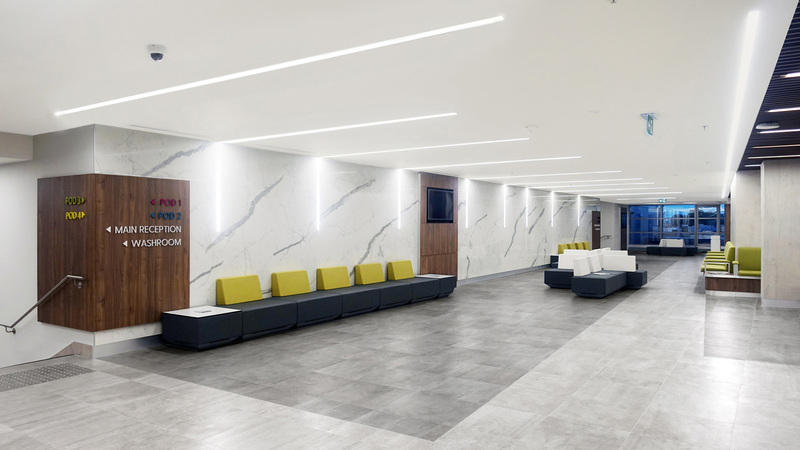 The colour in the space is once again characterised, like the rest of the building, by an eclectic and exclusive style based on the combination of traditional and modern touches.